Sydney, Australia, 19th January, 2017 – Sand and Stone Landscapes of Sydney has won “Best Of Service” on Houzz®, the leading platform for home renovation and design. The professional landscape design and construction company was chosen by the more than 40 million monthly unique users that comprise the Houzz community from among more than one million active home building, renovation and design industry professionals. The Best Of Houzz is awarded annually in three categories: Design, Service and Photography. Service honours are based on several factors, including the number and quality of client reviews a professional received in 2016. A “Best Of Houzz 2017” badge will appear on winners’ profiles, as a sign of their commitment to excellence. These badges help homeowners identify popular and top-rated home professionals in every metro area on Houzz. 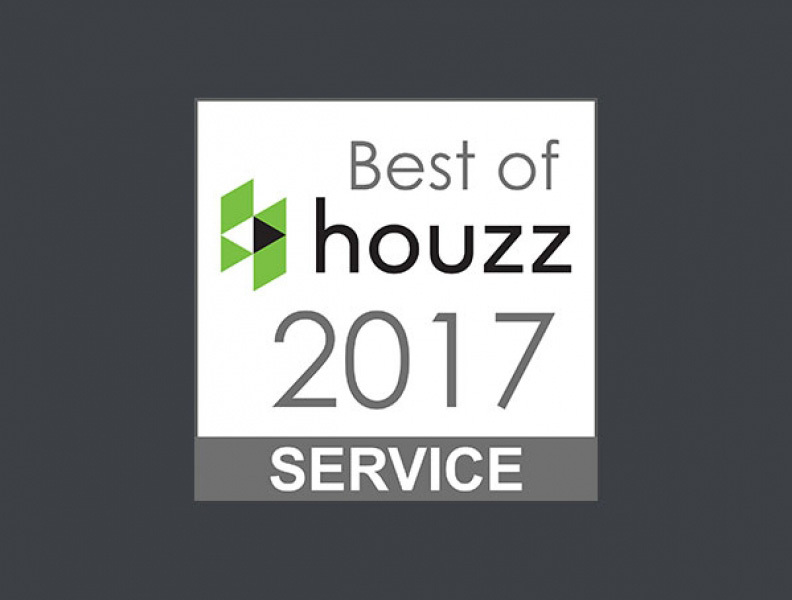 “We’re thrilled to again be awarded the Best of Houzz Service Award in 2017, following on from our award issued in 2016. We always strive to place the customer at the centre of everything we do and are honoured to receive this award as recognition.” said Luke Roodenburg, Director, Sand and Stone Landscapes. Sand and Stone Landscapes are dedicated to the design and construction of exceptional outdoor environments. As a full service company, they undertake the entire project from design through to construction and follow up collaboration. We are ready to transform your backyard landscape into an outdoor masterpiece. We provide obligation free quotes so you can understand any associated costs before work commences. We have built a reputation for high quality work and outstanding customer service. Give us an opportunity to impress you. Operating from West Pennant Hills, in North Western Sydney, our professional and highly motivated team are ready to discuss your requirements, reach out to us today.